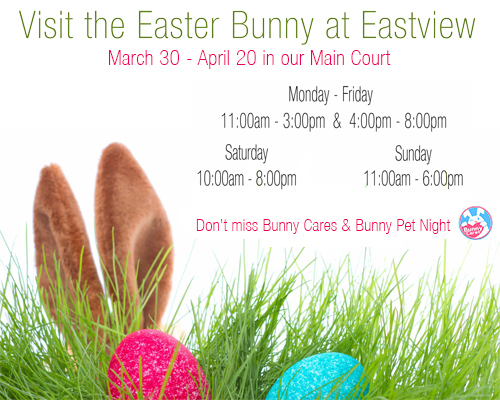 Bring the kids to visit the Easter Bunny at Eastview March 30-April 20 in our Main Court. Children and adults with special needs and their families are invited to attend a private photo session where extra care is taken to support sensory, physical and other developmental needs. Free to attend, photos available to purchase.